I decided that the website could do with a face lift and a new look as I hadn’t been happy with a few areas of the previous design. The previous design had several limitations - many created by having a right hand column in addition to the main content page. The solution was simple: Get rid of the right hand column! The size of the GoldVu logo which seemed to unnecessarily take up too much screen real estate. The clarity / distinctiveness between sections on any one page - it all seemed to be a single unbroken screen which is not always easy on the eye, even though we tried to avoid that. Solution: Bin the huge logo and replace it with a more conservative one out of the way, and use a striped template for the website design. The main restriction of the extra column that bugged me the most was to do with the sizes of the charts. Most of you visit GoldVu for our real-time pricing and advanced charts, so I wanted any change to have the biggest impact in this area. Ooh…you are going to love the charts now!! The spot price charts are also larger and look less cluttered. The main template design has been implemented and it’s now just a case of updating each page to properly use the new layout. This will take a few days (maybe a week) as there are quite a few pages. Furthermore, over the next few weeks some minor things might change for the new layout such as the colours of the stripes, positioning of text and photos. This will be a constant tweaking process as we bed in the new look and amend parts as a result of your feedback. We will start updating the most popular pages first so that you get the quickest benefit from the changes. These will all be addressed in time, including all and any bits that don’t quite fit or get in the way of the new look. 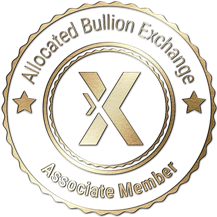 GoldVu and its website exist for you – we are here to provide you with a way to move your money outside the banking system into physical bullion, and as a source of knowledge that you visit. Therefore your opinions and feedback are critical to us. It is through what we hear back from you, that we are able to improve our precious metals services and to display them in a visually appealing manner. I understand you may contact me about my feedback regarding GoldVu's new website design look.